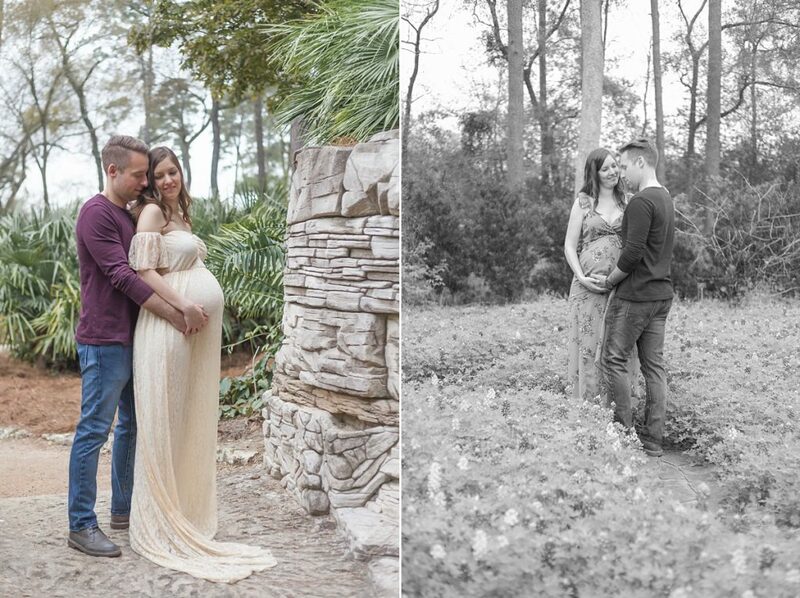 This romantic couples maternity session just might be one of my favorites to date. 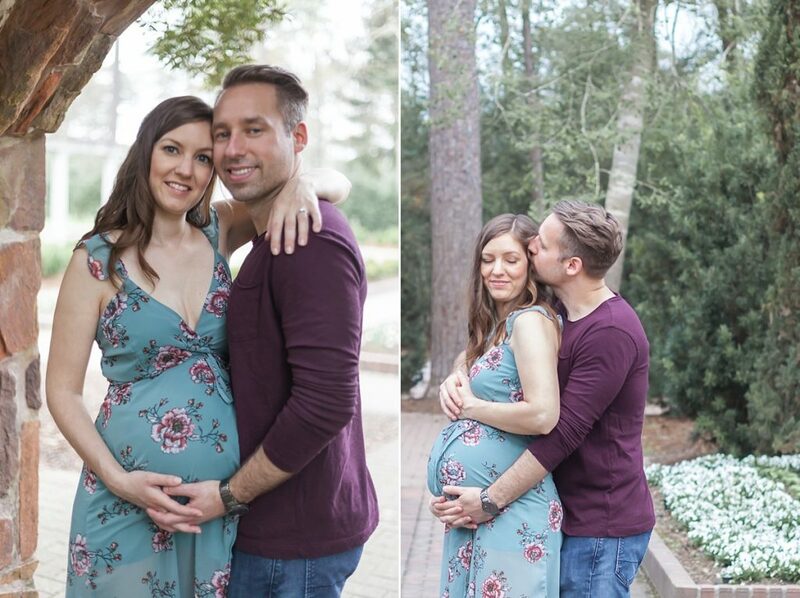 First-time parents Liisa and Warren are anxiously waiting to meet their daughter, who is due in early April. 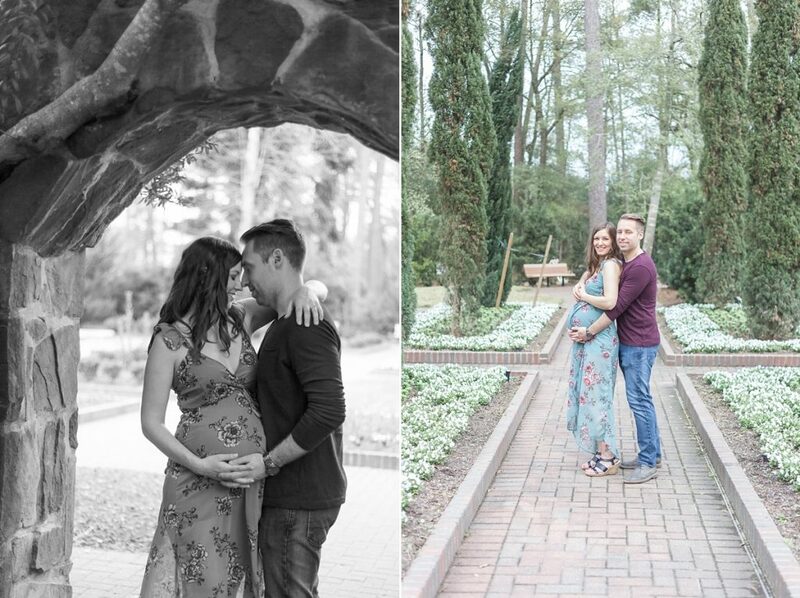 If there is one thing you can see in their images, it’s how much these two love each other – and their baby girl! Liisa reached out to me at the beginning of the year for maternity and in-home newborn sessions. She wanted images that would beautifully reflect what life is like right now for she and her husband, complete with natural poses that don’t feel forced or fake. They moved to Texas last year from Canada, and are excited to start their new life as a family of three with their daughter. I suggested we meet at Mercer Arboretum, which is one of my most favorite places to photograph. There is such a variety of locations here – gorgeous backdrops everywhere you look. It’s also a very peaceful place if you time it right, when there aren’t large crowds. Fortunately, the Saturday of Liisa’s session was warm but overcast, so we had the best of both worlds: low humidity, cool temperature and very few other guests! We kicked off Liisa and Warren’s session with her in a short striped dress. She changed into a flowing ivory lace gown from my studio wardrobe for the second half of our time together. It fit her just perfectly! This gown has a long train that photographs beautifully and the color is flattering for every skin tone. I love how it highlights her baby bump! 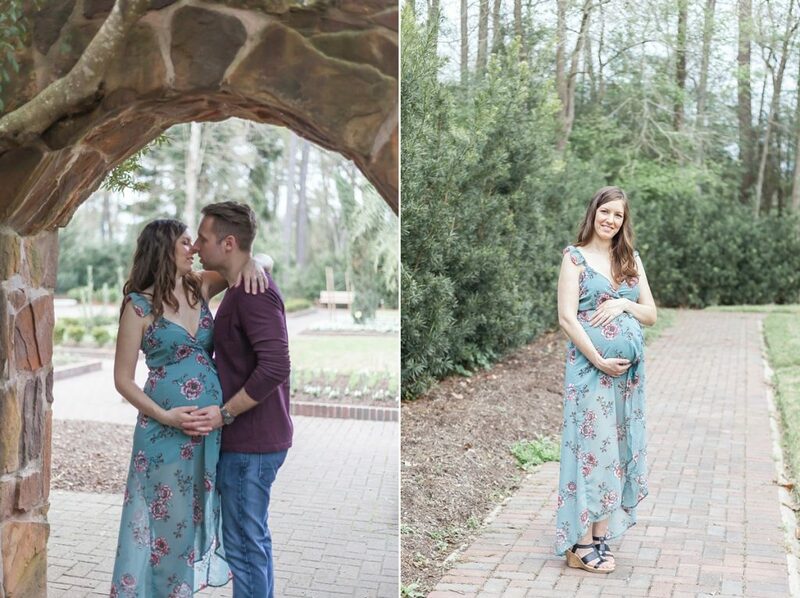 The arboretum was just beginning to bloom for this magical enchanted garden maternity session. You can spot delicate white flowers behind Liisa and Warren on the staircase (one of my favorite shots!). You’ll also spot the bright red blooms behind her along one of the pathways. 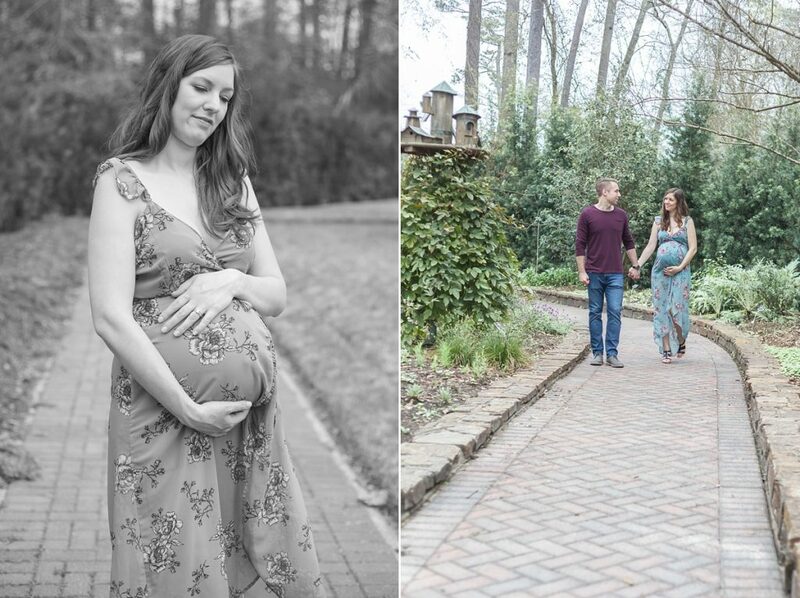 The best part of couples maternity sessions like this one is the relaxed pace at which we photograph. There is plenty of time for parents to savor this memory of capturing pregnancy. Lots of tender moments including snuggles, hugs and soft kisses guarantee sweet photos that mom and dad will love… and their baby girl will adore these images some day, too. 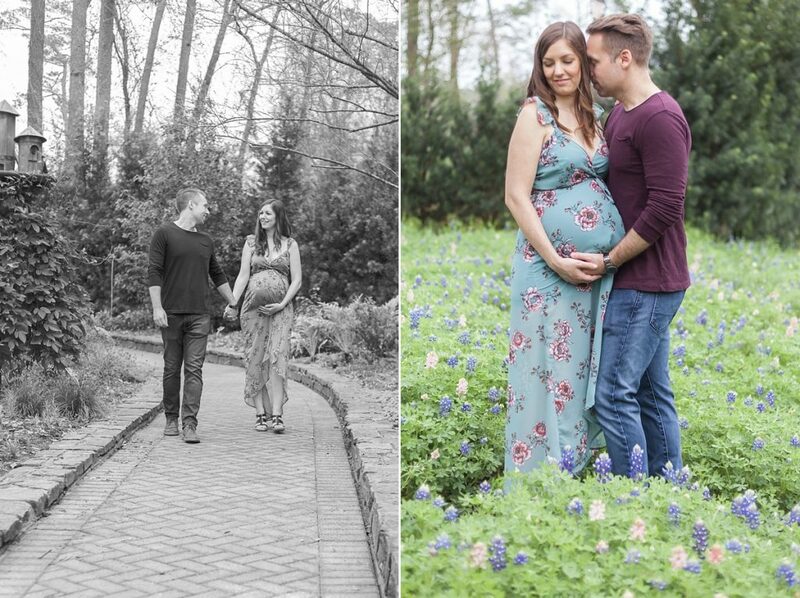 That’s the thing about maternity photos – they’re not just for you! These photos are also an amazing gift for your children. They’ll get to flip through these moments some day and get a glimpse of what mom and dad were like as their parenthood journey was beginning. Maternity photos forever capture the beauty and mystery of carrying a baby you already love so much, without even meeting him or her yet. 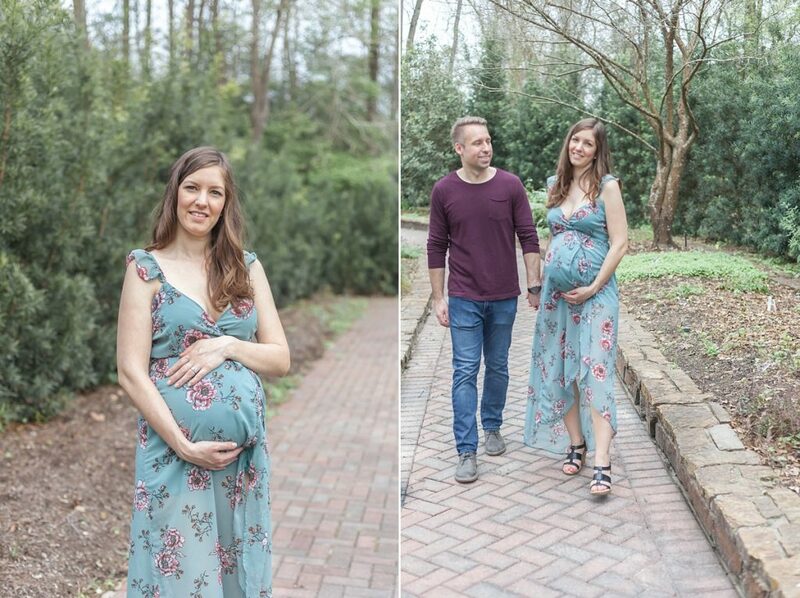 We wrapped up this magical garden maternity session with Liisa in a flowing blue dress with a delicate floral print. I was thrilled to find a field of blooming bluebonnets for a lovely series of photos. 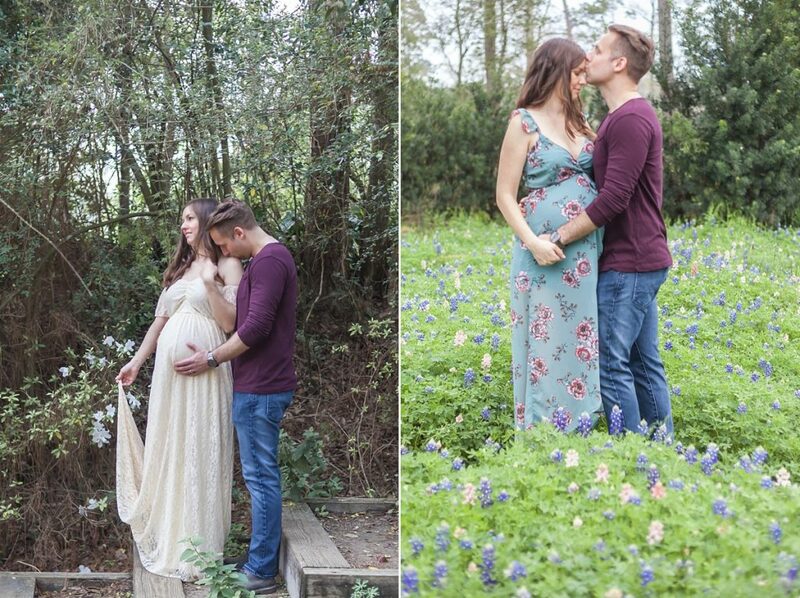 These were some must-have shots considering the Texas tradition of taking photos in bluebonnets every spring. 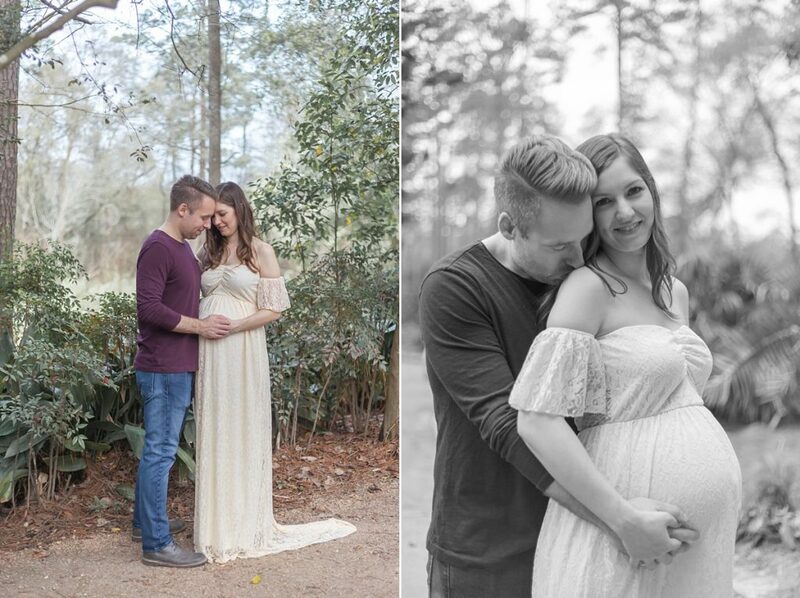 Take a peek at this incredible couples maternity session – and check back in early April for photos of this sweet baby girl! 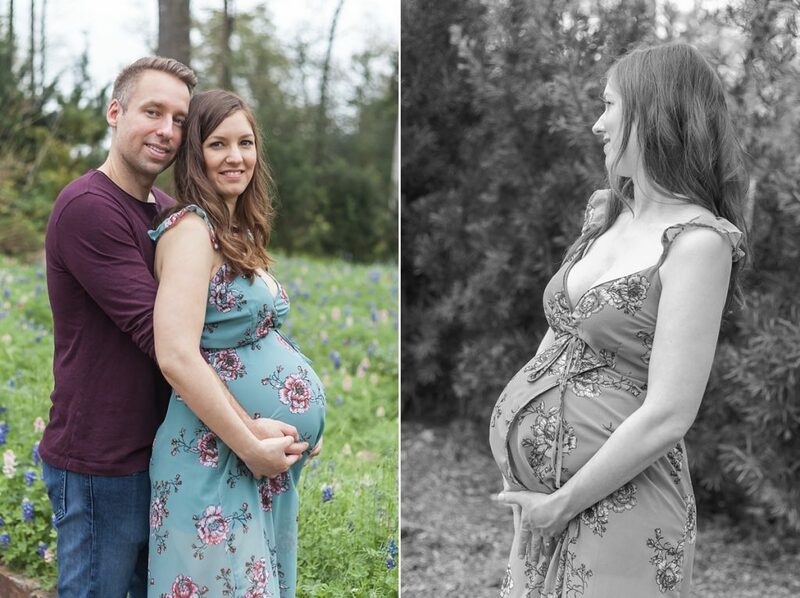 I specialize in maternity, Fresh 48, breastfeeding and at-home newborn portraits in The Woodlands, Texas. A luxury photography experience is the perfect way to celebrate that perfect baby bump and your adorable newborn or nursing baby. 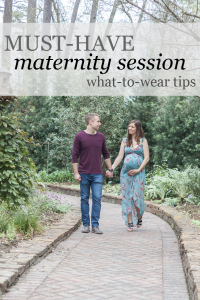 If you’re ready to chat about a magical photo session celebrating you and your little one, click the button below to get started! I’ll send you a beautiful Welcome guide with all the details! Beautiful photos! I’m sure they love them. Also, that location is amazing! Thank you! And yes, this is my favorite place in the world to shoot! These are beautiful photos! And I love her outfit choices! She did a fabulous job picking out perfect outfits, that’s for sure! This is such a sweet session! What a fun location! Such beautiful pictures!! Her dresses are gorgeous and this location is so pretty!! Great job. Thank you! I love shooting at the arboretum. 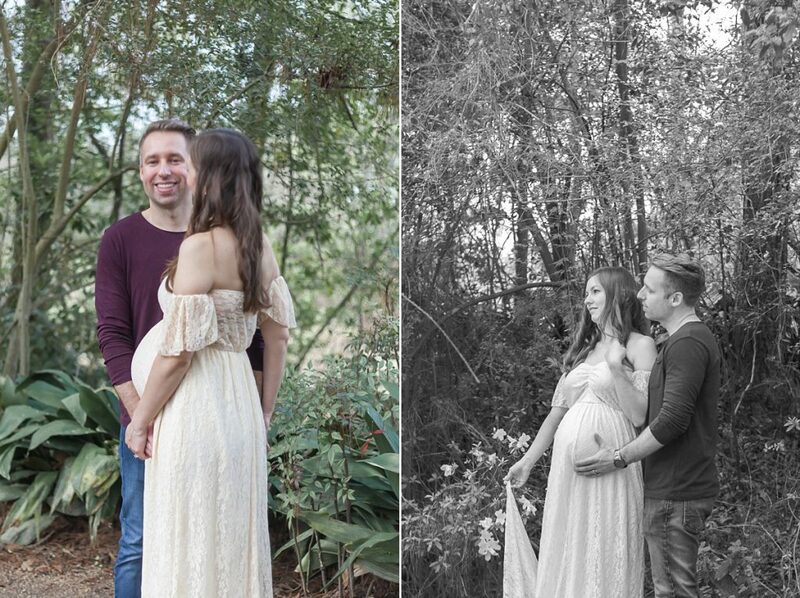 It works so well for maternity photos! These are beautiful for this new family!! Best of luck to them! Thank you! Their little bundle should be here any day!